APPLICATIONS MUST BE RECEIVED BY NOON ON MONDAY JUNE 18, 2018. Live drawing for scholarship winners will be conducted at the June 2018 DALTA luncheon. Winners do not need to be present to win but must meet all of the eligibility requirements below. All scholarships are NON-TRANSFERABLE. If you need to cancel your conference registration or your employer elects to pay, you must notify DALTA immediately and DALTA will notify the next alternate winner. 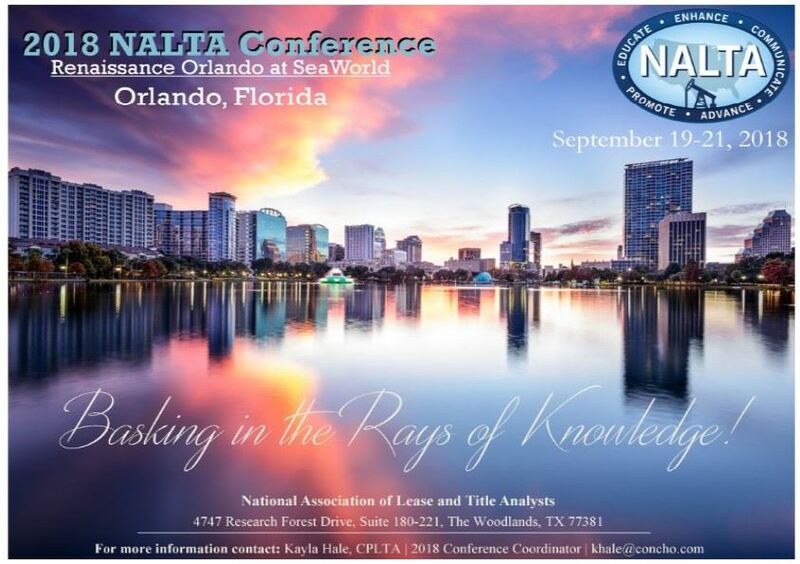 You may not have won a DALTA awarded scholarship to the NALTA Conference in the previous two years (2016 - Atlanta & 2017 - Galveston). You must be actively working or actively seeking work in the oil and gas industry. You must be a CPLTA to qualify for the CPLTA scholarships-all CPLTA's who apply for the CPLTA scholarship and don't win will automatically be placed in the member scholarship drawing.